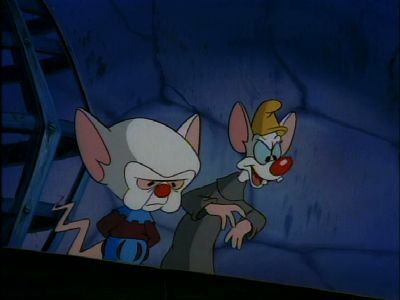 In 1194, Pinky and the Brain are being kept in Merlin's laboratory in Camelot. When Merlin goes out for a snack. Brain tries to take over the world using a magic spell. Pinky gathers all the components but loses a dragon's toenail. 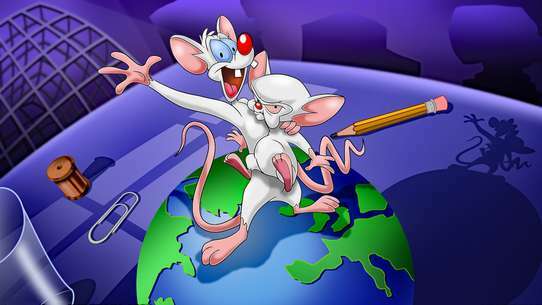 Pinky and the Brain must go on a quest to get another toenail. Using a magic wand the recover the toenail, but the dragon chases them all the way back to Camelot. Brain uses the dragon's toenail in the spell but as he recites it Pinky distracts him. Brain's head is turned into cheese. 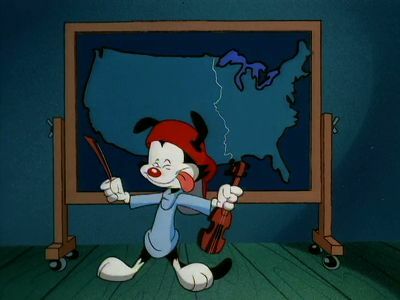 In a Jeopardy style game in the teacher's classroom, Wakko has to name the 50 states and their capitals. He sings an enitre song with everything right but he forgets to answer in the form of a question. In 1905, the Warners arrive at the Paris home of the famous artist Pablo Picasso. They want to help him paint and annoy him so much that he will let them paint as he relaxes. As the artist rests, the Warners begin to play a guessing game. 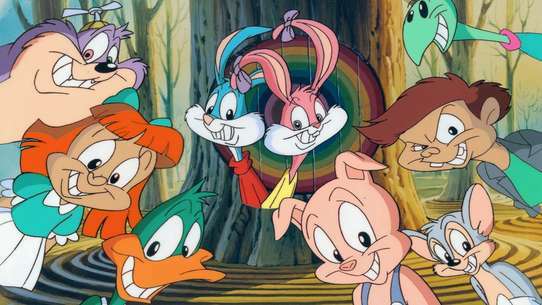 Wakko draws surreal pictures and the rest of the Warners must guess what the picture is of. An art critic comes to Picasso's home and loves the surreal paintings. Picasso takes credit for the work, but agrees to pay the Warners money to continue to paint the pictures. 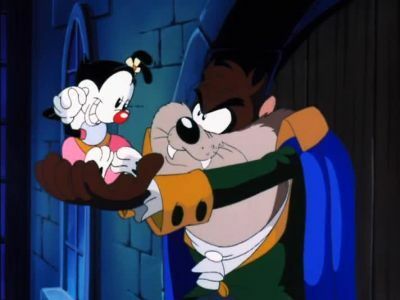 In a parody of the Disney film Beauty and the Beast, the Warners walk through a forest and encounter Taz. Dot takes a liking to him. The Warners are beamed onto their favorite old sci-fi show, where they cause chaos to the crew and introduce the engineer to doughnuts. When medieval kingdom of Camelot is threatened by a dragon, King Arthur asks Merlin to summon a knight. When Merlin tries to summon the knight, he gets the Warners instead. 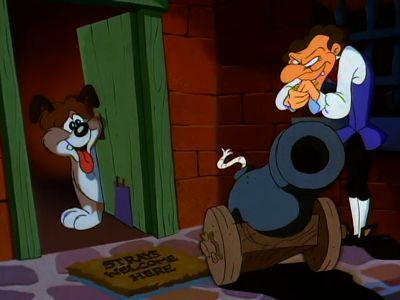 The Warners defeat the dragon by tricking it into blowing itself up. They discover that it was really a robot that was being operated by mice. In 1690's Italy, a violin maker named Stradivarius takes a stray Rita, but not Runt, to live with him. Stradivarius hopes to use Rita to make violin strings. When Runt finds out, he rescues Rita and destroys Stradivarius's violins in the process. 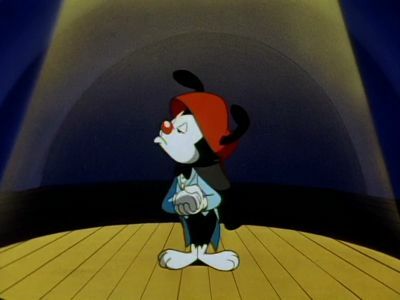 Wakko belches "The Blue Danube Waltz" by Johann Strauss. The Warners go to Hades where Satan wants to torment them. 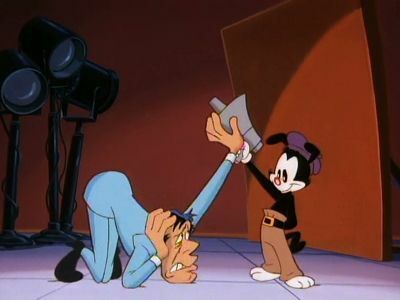 Unfortunately, the Warners end up tormenting him. 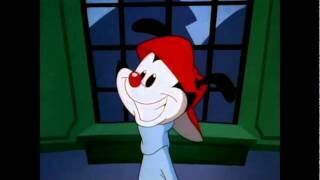 He kicks them out after Yakko freezes the place. 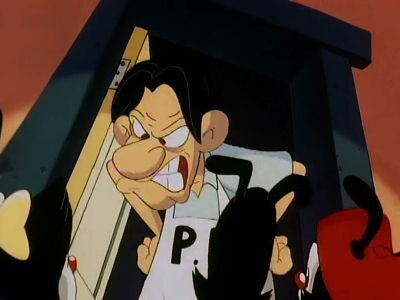 Wakko gets in a fight with himself over a game of go fish. 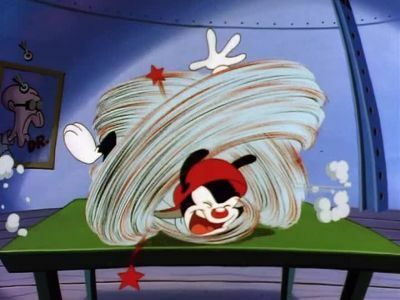 In Sweden, Wakko enters a meatball eating contest and eats too many meatballs. He is declared dead by Death. 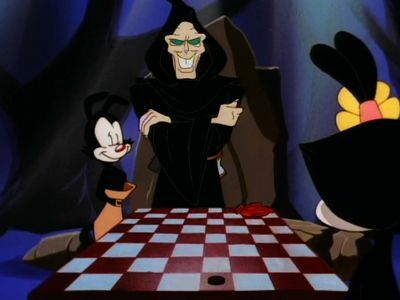 Yakko and Dot must play checkers with Death to stop Wakko from being taken to the ever after. 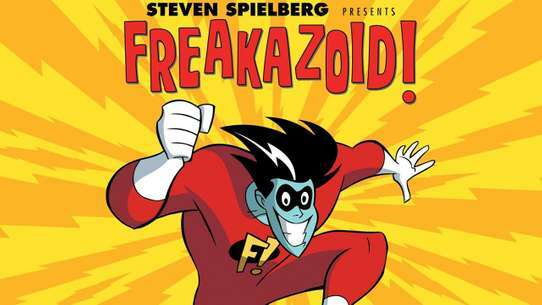 On a day when our heroes are happily running from Ralph, they hide in a movie suggestions room and meet a crazy voiced director and they have to make his movie and follow his script but they drive him crazy! 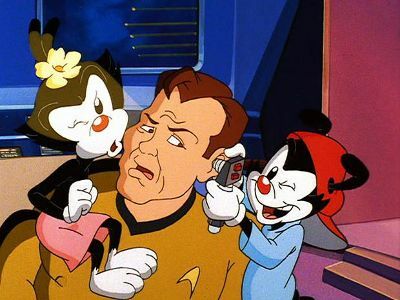 Yakko, Wakko, and Dot help Beethoven compose his fifth symphony. 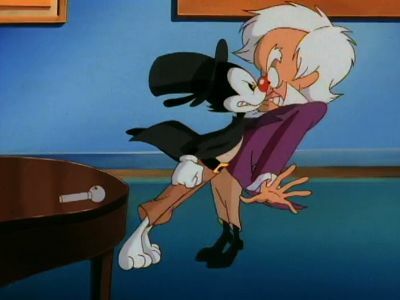 Yakko inherits the throne of Anvilania a small kingdom best known as the world's largest producer of anvils. 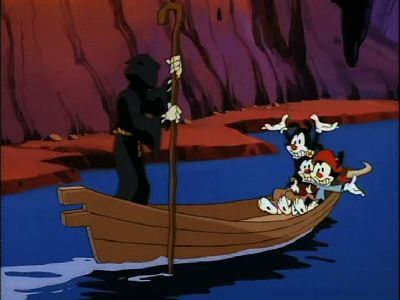 Yakko promises to serve his people, but Anvilania is attacked by Dunlikus and its dictator Umlatt. The Warners must face Unlatt by himself. They manage to get the entire Dunlikus army to go to sleep and discover that Unlatt wanted Anvilania so that he can have all its anvils to himself. 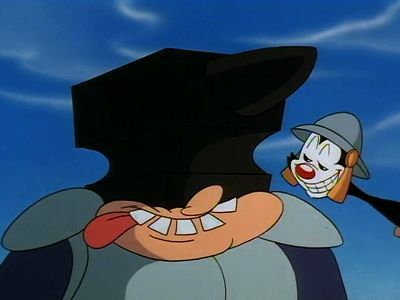 The Warners decide to give Unlatt the anvils: one at a time, on his head and on his castle. Rasputin has been hypnotizing Russian Czar Nicholas II for a number of years. Unfortunately, he has a toothache and needs a dentist. The Warners arrive and pull out all of Rasputin's teeth. 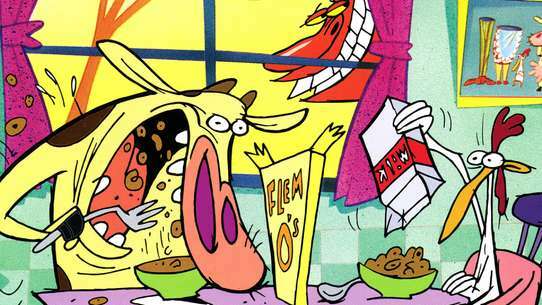 Without his teeth, he can no longer hypnotize the Czar and is quickly fired. #16 - What Are We? 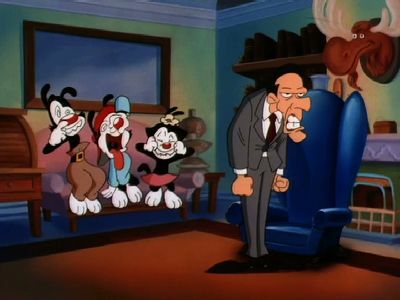 The Warners are hypnotized by Dr. Scratchansniff in order to make them less zany. 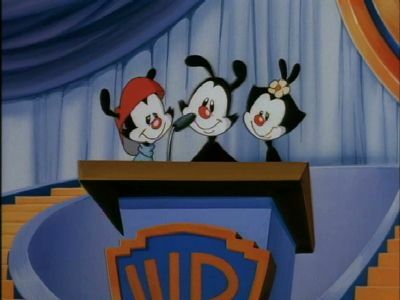 Dr. Scratchansniff fails and asks them what they are, leading the Warners to offer a number of suggestions. Michelangelo paints the ceiling of the Sistine Chapel. He must finish before the pope arrives and prays for assistance. Assistance arrives in the form of the Warners who first paint the ceiling completely white and then fill it with pictures of Elvis and dogs playing poker. Michelangelo convinces them to help him make the correct painting and they agree. They, however, add an interesting touch before the pope arrives. 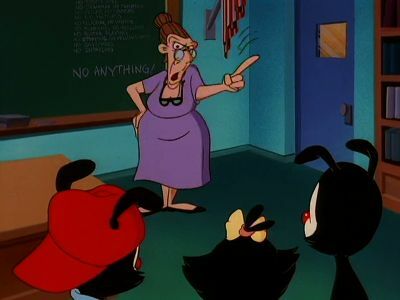 The studio hires a new teacher named Miss Flamiel to teach the Warners. Despite her best efforts, she meets only with frustration and is unable to teach them anything. Slappy goes to a banquet held in her honor in order to receive an award. Walter, Beanie, and Sid, however, plan to blow her up with explosives. Slappy gets the reward and Walter, Beanie, and Sid only succeed in blowing themselves up. The Warners are on a scavenger hunt and harass Sherlock Holmes and Dr. Watson who are trying to help solve a series of petty thefts. Rita and Runt are in Warsaw, Poland during the 1939 German blitzkrieg. The head of the Polish underground arranges to meet his daughter Katrina on a train that is about to leave the train station. When Katrina is discovered by a dog working for the Germans, Rita saves her. They head to the train station, and jump on when the train begins to leave. 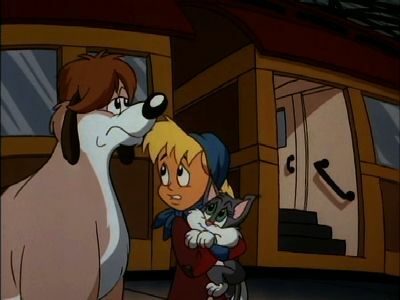 Katrina is safe, but Rita when she sees Runt being attacked by German dogs decides to stay. She leaps from the train in order to help her friend. 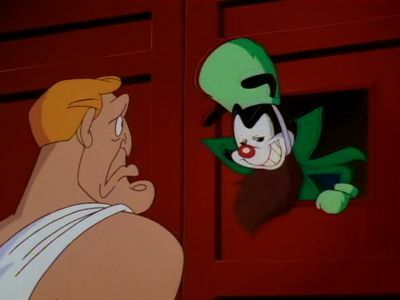 The Warners view their 65th Anniversary special, but an unknown figure is plotting to destroy them with a time bomb set to their podium when they give their speech. 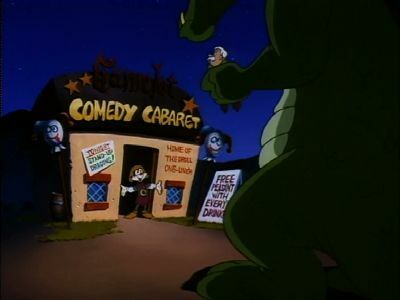 It turns out to be Buddy, the cartoon character that they had replaced, but after hearing Yakko say that they wouldn't be here if it wasn't for him and wish he was here, his thoughts of revenge vanish and he joins them on the stage. 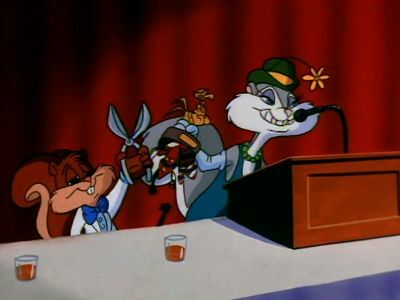 However, when Buddy is speaking at the podium, the time bomb goes off on him, blowing him up. 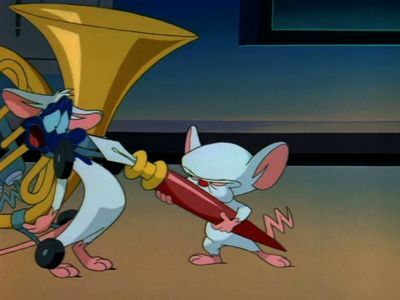 In turn of the century Russia, Pinky and the Brain are conditioned to respond in strange ways to the sound of bells. Brain plans to take over the world by stealing the crown jewels of Russia. Unfortunately, his conditioning prevents him from successfully getting the jewels. 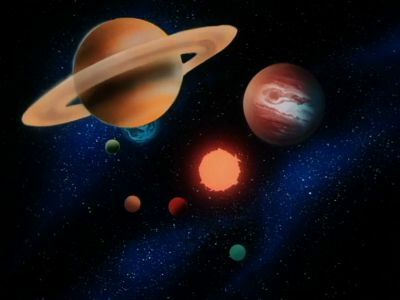 Yakko sings a song about the relative vastness of space from one person to the entire universe. Brain wants to take over the world by tricking people into thinking that an aliens are invading. 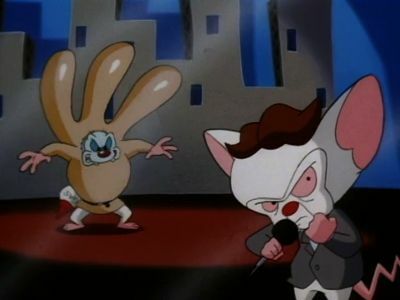 Brain arranges a pirate broadcast with himself as a reporter and Pinky as an alien. Brain says that aliens have landed and that people should flee from the cities. Pinky, however, has trouble with his costume. They complete their fake broadcast and wait for people to flee the cities. The next day, however, they look at the newspaper and see that everyone thought that the broadcast was a hilarious fake.